When MSC Seaside debuts late next year, it will be with a new specialty restaurant thanks to a new partnership with Japanese-American celebrity chef Roy Yamaguchi. Yamaguchi will create a pan-Asian specialty restaurant for MSC where he will create not only the menu and the wine list, but control virtually every aspect. He’ll have a hand in the design of everything from the decor to the selection of the china to compliment the food, and selection of the paper for the menu. This will be his restaurant. 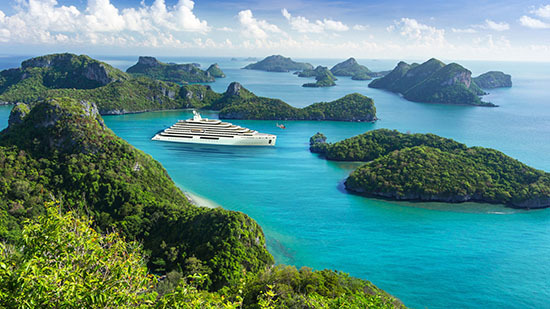 The complete story appeared in the March 18 edition of Cruise News Daily. Royal Caribbean cancelling Nordic Empress' first six sailings back under the RCI livery. Disney being sued by a man who's thumb was severed by his stateroom door. Details appeared in the March 18 edition of Cruise News Daily. 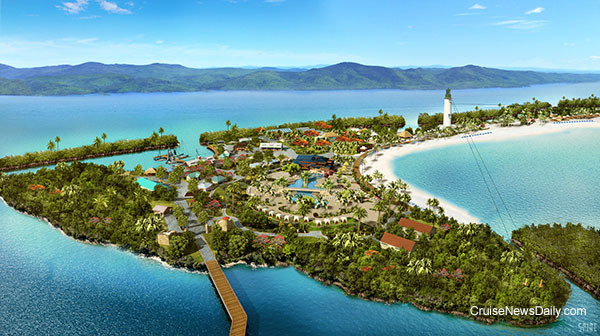 Yesterday, NCL began to detail what to expect on the island, and there's a lot in store for Norwegian's passengers. 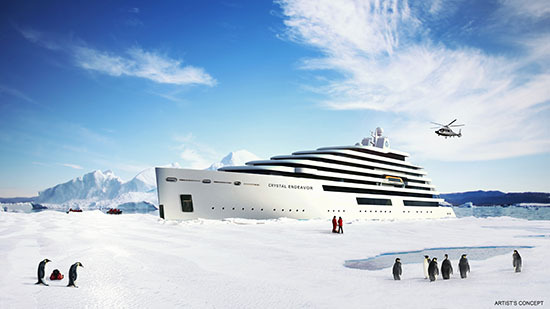 The complete story appeared in the March 17 edition of Cruise News Daily. 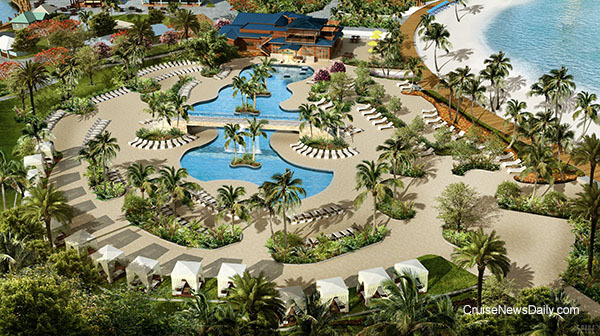 The facilities at Harvest Caye include a pier for the ship, a 7-acre beach and a 15,000-square-foot pool. Renderings courtesy of Norwegian Cruise Line. All rights reserved. May not be copied or used without permission. Thanks to the success of Guy’s Burger Joint on eleven of the ships across the Carnival fleet (they each serve about 1,000 burgers a day), the line has partnered with Guy Fieri on a second casual restaurant that looks like it’s going to be another hit with Carnival passengers. 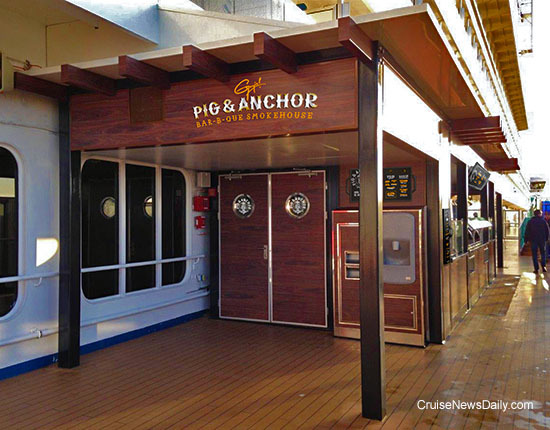 This one is a barbeque smokehouse aboard Carnival Magic, called the Pig & Anchor. Pork, chicken, beef, sausage - and Guy’s own special sides. 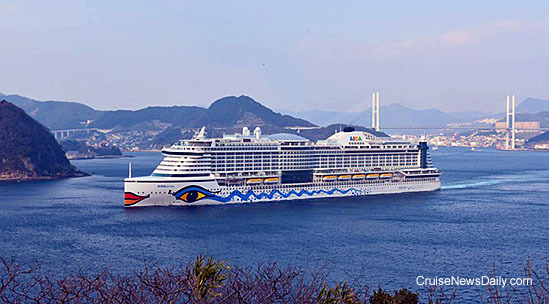 Details appeared in the March 16 edition of Cruise News Daily. Preliminary figures show that for the second time this season, Port Everglades broke its own record for passengers passing through the port in a single day with 54,700 passengers last Sunday, March 13. In order to expand in the Galapagos, Celebrity Cruises said today they plan to acquire the Galapagos tour operator Ocean Adventures. The deal would include the company’s two small ships and their permits to operate in the Galapagos. 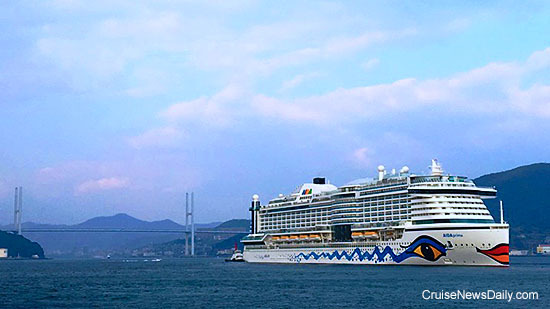 Mitsubishi Heavy Industries delivered AIDApima to AIDA on Sunday at Nagasaki. The ship is already on the way to Hamburg. Details of the latest dangerous robberies of cruise passengers in Belize.